In May of 2004, Drs. 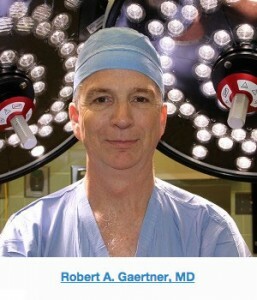 Knoedler and Gaertner, from Minnesota Urology performed the first robotic prostatectomy in a private practice in Minnesota. Since then, they quickly accrued the largest robotic surgical experience in Minnesota and the Five State Area. Countless studies have shown that the best outcomes are obtained when this procedure is performed by high volume, experienced robotic surgeons. To date, they have combined as a team in performing over 4,000 Robotic Surgeries, putting them in the top five robotic surgeon teams in the United States. Drs. Knoedler and Gaertner have been consistently recognized by their peers as “Top Doctors” in the Minneapolis St. Paul Magazine. Drs. 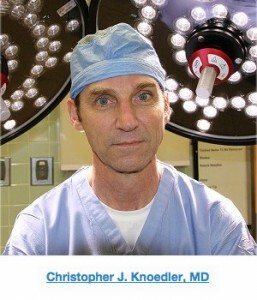 Knoedler and Gaertner are affiliated with St. John’s Hospital/Healtheast in Maplewood and United Hospital in St. Paul, MN. Unique awards and features of these hospitals are listed below. Due in part to the large volume of their robotic practice, St John’s is one of only sixteen hospitals in the country to be in both the “Top 100” for robotic procedures for both Urology and Gynecology. St John’s Hospital has been recognized by US News and World Report as a Top 50 hospital in Urology. St. John’s Hospital received a 5 star rating as well as the Prostatectomy Excellence Award for their robotic prostatectomies, putting them in the 10% of hospitals in the country. United and St. John’s Hospitals both have two, third generation, state-of-the-art da Vinci robots. United and St.John’s Hospitals staffs are highly trained in robotic surgery and set the standard for other programs in the region. United Hospital is a Training Epicenter for Intuitive Surgical. In January 2012, Drs. Knoedler and Gaertner started treating patients at River Falls Area Hospital, in River Falls, Wisconsin, using the da Vinci robot.